NHLA's convention in Toronto, Ont. saw mroe than 1,000 participants. NHLA’s Annual Convention & Exhibit Showcase was a roaring success. Among the many highlights of the Oct. 2-4 event, attendees especially enjoyed visiting the Hockey Hall of Fame in Toronto. 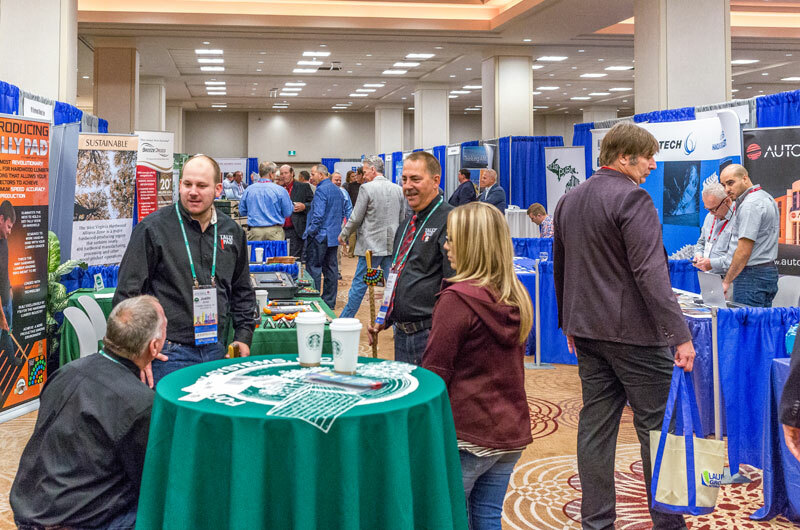 The NHLA Annual Convention & Exhibit Showcase in Toronto, brought together the diverse membership of the National Hardwood Lumber Association and the entire global hardwood community. 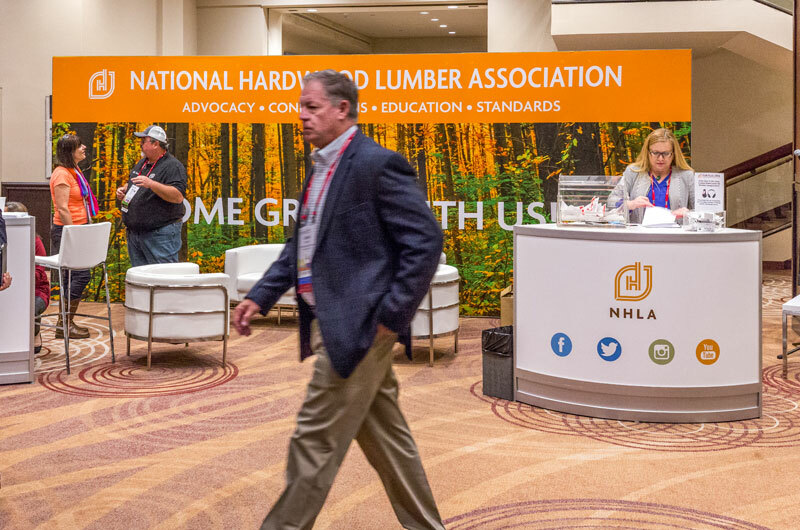 The NHLA Annual Convention & Exhibit Showcase is the largest gathering of the hardwood lumber industry in North American. 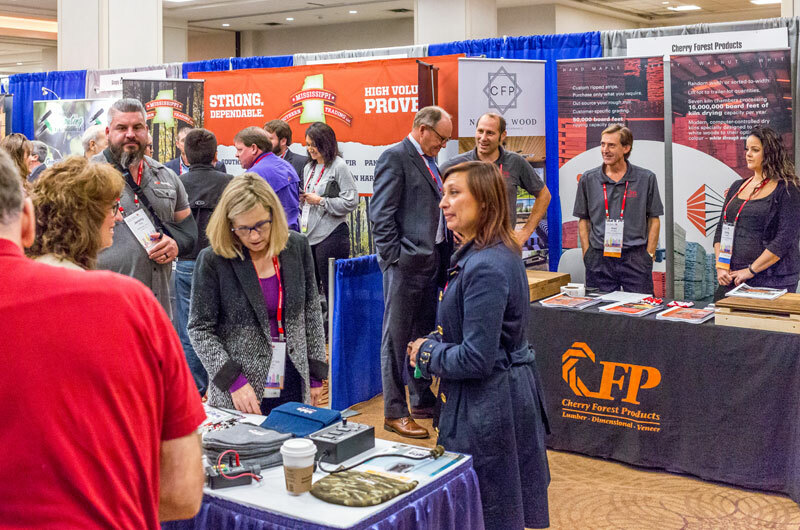 Now in its 121st year, the annual convention brings together virtually every aspect of the hardwood lumber industry and is the must attend event of the year. Paul Moya, CEO of Millennial Labs, spoke about how to get your company to resonate with millennials and Andy Goodman, founder and director of The Goodman Center, spoke about how companies need to tell their stories. Export Market Trends was hosted by AHEC Executive Director Mike Snow. Snow provided a detailed update on North American hardwood exports to the world and lead a panel discussion with the directors from China/Southeast Asia, Europe, Japan, Latin America, and the Middle East/India concerning trends in their respective regions. Additional topics included an update on the impacts of tariffs and trade tensions with major overseas markets. Building the Future With Hardwood CLT, hosted by Andrew Waugh, the founding director of Waugh Thisleton Architects, and Dr. Henry Quesada, associate professor with the Department of Sustainable Biomaterials at the Virginia Polytechnic Institute and State University. Keys to Multi-Generational Family Ownership: Strong Roots Build a Lasting Legacy, hosted by Josh Baron, Co-Founder and Partner at BanyanGlobal. Loss Profit Recovery Made Possible by the NHLA Yield Analysis Program, hosted by NHLA Chief Inspector, Dana Spessert. Logistics and Transportation: Here and Now, hosted by Andy Moses, Senior Vice-President of Global Products for Penske Logistics. Forest Industry Capital Investments & The Market Implications for Hardwood Logs, hosted by Brooks Mendall, President and CEO at Forisk. How to Tell Your Story Workshop, hosted by our keynote speaker Andy Goodman. Next year’s convention will be held Oct. 2-4, in New Orleans at the Sheraton New Orleans Hotel.